Cloud computing has redefined the ways of conducting business. Irrespective of their size, location or industry, companies all over the world are moving to the cloud to leverage benefits such as ease of management and cost reduction. 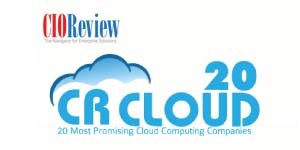 Here are 20 Most Promising Cloud Computing Companies 2013. Akamai Technologies Vast quantities of video are poised to move on-line, which creates the need for a delivery platform that can provide enormous scale at low cost and high quality. Artisan Infrastructure Suppliers of cloud services, like end user organizations, are looking for ways to both reduce costs and simplify their lives. Cloud Spectator A provider of public cloud infrastructure performance and price-performance metrics to the IaaS provider and end user markets. CyberlinkASP With the revolution of cloud computing, many enterprises are trending toward the eradication of physical infrastructure in their IT environments. Evolve IP Today's CIO faces an incredibly demanding business challenge with ever increasing pressure to deliver results on a budget that seems flatter than Microsoft's stock. HireMojo Hiring the right candidate is one of the most crucial factors for any company's success. Similarly, finding a compelling job is paramount for individuals. KIO Networks The global economic dynamic demands the accurate use of technological tools to compete in this global environment. LiveOps A global provider of contact center software and customer service solutions. Microland An IT infrastructure and cloud lifecycle services provider offering a comprehensive range of hybrid IT services across the globe. NebuLogic A leading provider of Cloud Computing, CRM/CX solutions and implementation services across the globe. Nimbix A provider of cloud-based high Performance Computing infrastructure and applications for Life Sciences, manufacturing and analytics applications. Orion Systems Integrators A provider of development, integration, deployment and managed IT services and solutions for leading organizations across the globe. ProfitBricks A provider of high-end infrastructure as a service (IaaS) for companies and IT professionals. RiverMeadow Software A developer of industry-leading SaaS that automates the migration of physical, virtual and cloud-based servers into and between public, private and hybrid clouds. SLM Sistemas A provider of Hosted Desktops and cloud computing solutions for Enterprises. Teletrac Teletrac Inc. is a cloud-based GPS tracking and fleet management software provider that has helped automate more than 20,000 fleets worldwide. Turn A provider of software that simplifies data management and executes real-time bidding to improve the performance of their client’s advertising initiatives.